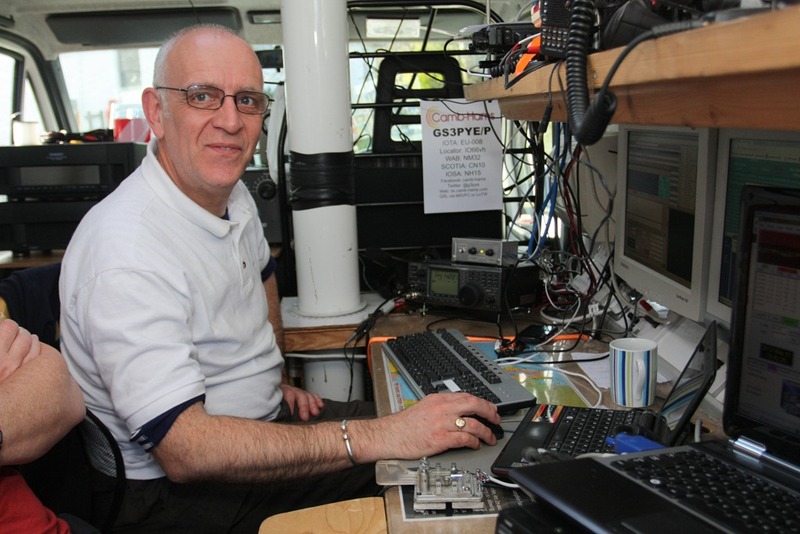 John Worsnop G4BAO (GM4BAO while in Scotland) – The group’s microwave geek, on his first trip with the Camb Hams. Came up with the cool idea of adding the 3cm band to our operations from Mull. Cooks a great stir-fry! Working DK5SO on 2m FSK441 when this picture was taken. Hi John will you be operating on 40m sometime ? Be good to make contact.